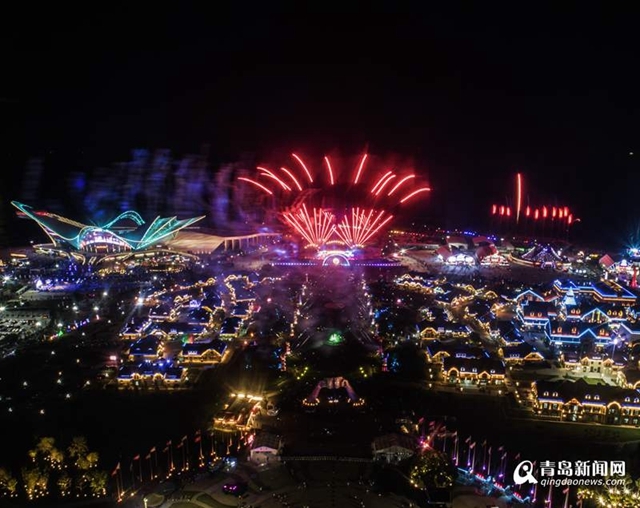 Light and fireworks shows are put on at Golden Beach Beer City every night during the 28th Qingdao International Beer Festival, transforming the Qingdao West Coast New Area into a fantastic ever-bright city. 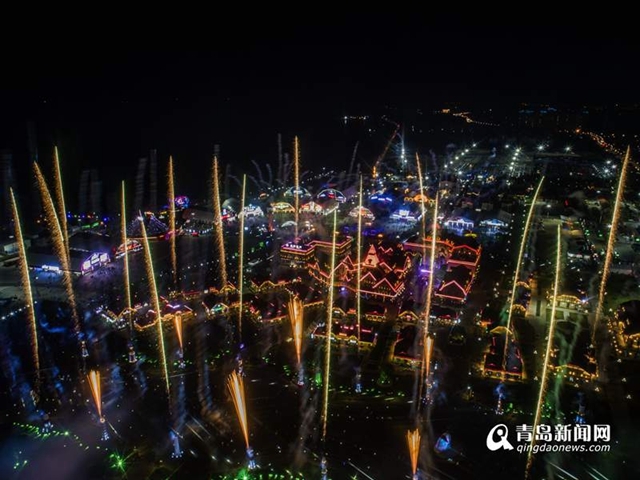 This year's show of lighting and fireworks has the largest visible range in the world. 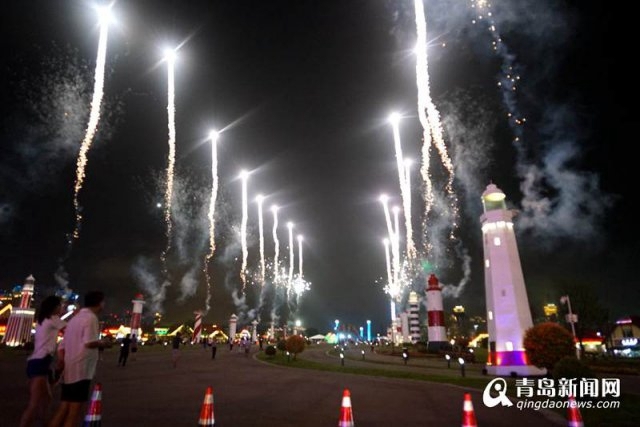 Renovations were made to lighthouses built in the style of countries along the Belt and Road in 2017 on Xingguang Avenue, and more areas, such as the Beer Avenue, the Music Avenue, the Haiyun Avenue, and the wooden houses in both western and eastern areas have been decorated with lights, covering all of beer city. According to Wang Gong, the executive director of the cultural activities during the beer festival, all decorative beer city lights have been connected in series, which creates a stronger visual impact and a larger visual range than in previous years. Besides, more than 10,000 fireworks have been arranged to cover the festival's sky. There are two preferred viewing spots for seeing the show in beer city. The first is at the "Cheer Up" sculpture where one can enjoy a full panorama; and the second is at the stage in the south part of Xingguang Avenue. Accompanied by music, the show is performed in different time periods each night from half past seven to ten.